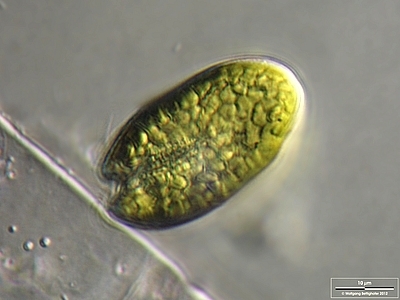 The Cryptophyceae are a group of flagellate protists including both photosynthetic and phagotrophic taxa. Characters (from Adl et al. 2012): Autotrophic, mixotrophic or heterotrophic with ejectisomes (trichocysts); mitochondrial cristae flat tubules; two cilia emerging subapically or dorsally from right side of an anterior depression (vestibulum); longitudinal grooves (furrows) and/or tubular channels (gullets) or a combination of both, extending posteriorly from vestibublum on ventral side; gullet/furrow complexes lined with large ejectisomes; with or without plastid-nucleomorph complex; chloroplasts when present contain chlorophylls a and c2 and phycobiliproteins, located in thylakoid lumen; chloroplast covering comprised of inner and superficial periplast components. [C-S93] Cavalier-Smith, T. 1993. The protozoan phylum Opalozoa. Journal of Eukaryotic Microbiology 40 (5): 609–615. [C-SA96] Cavalier-Smith, T., M. T. E. P. Allsopp, M. M. Haueber, G. Goethe, E. E. Chao, J. A. Couch & U.-G. Maier. 1996. Chromobiote phylogeny: the enigmatic alga Reticulosphaera japonensis is an aberrant haptophyte, not a heterokont. European Journal of Phycology 31: 255–263. [C-SC06] Cavalier-Smith, T., & E. E.-Y. Chao. 2006. Phylogeny and megasystematics of phagotrophic heterokonts (kingdom Chromista). Journal of Molecular Evolution 62: 388–420. [EDF04] Ekelund, F., N. Daugbjerg & L. Fredslund. 2004. Phylogeny of Heteromita, Cercomonas and Thaumatomonas based on SSU rDNA sequences, including the description of Neocercomonas jutlandica sp. 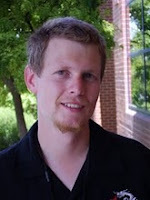 nov., gen. nov. European Journal of Protistology 40: 119–135. [GLB04] Gray, M. W., B. F. Lang & G. Burger. 2004. Mitochondria of protists. Annual Review of Genetics 38: 477–524. [KN03] Knapp, C. W., F. deNoyelles Jr., D. W. Graham & S. Bergin. 2003. Physical and chemical conditions surrounding the diurnal vertical migration of Cryptomonas spp. (Cryptophyceae) in a seasonally stratified Midwestern reservoir (USA). Journal of Phycology 39: 855–861. [MM05] Melkonian, M., & D. Mollenhauer. 2005. Robert Lauterborn (1869–1952) and his Paulinella chromatophora. Protist 156: 253–262. [MO08] Moore, R. B., M. Oborník, J. Janouškovec, T. Chrudimský, M. Vancová, D. H. Green, S. W. Wright, N. W. Davies, C. J. S. Bolch, K. Heimann, J. Šlapeta, O. Hoegh-Guldberg, J. M. Logsdon, Jr. & D. A. Carter. 2008. A photosynthetic alveolate closely related to apicomplexan parasites. Nature 451: 959–963. [OC09] Okamoto, N., C. Chantangsi, A. Horák, B. S. Leander & P. J. Keeling. 2009. Molecular phylogeny and description of the novel katablepharid Roombia truncata gen. et sp. nov., and establishment of the Hacrobia taxon nov. PLoS One 4 (9): e7080. [S03] Simpson, A. G. B. 2003. Cytoskeletal organization, phylogenetic affinities and systematics in the contentious taxon Excavata (Eukaryota). International Journal of Systematic and Evolutionary Microbiology 53: 1759–1777.